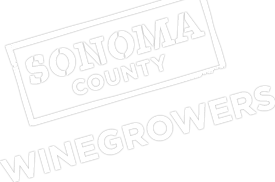 The Sonoma County Winegrape Commission will hold the 14th Annual Sonoma County Regional Pruning Contests in five viticulture appellations, February 5 – 13, 2013. The first and second place winners from each Sonoma County American Viticulture Area (AVA) will advance to the Sonoma County Championship to be held on February 22, at SRJC Shone Farm. Cash prizes will be awarded to the winners. All events are free and open to the public. RSVP to attend the County Championship by February 17. Vineyard employees interested in competing in the regional contests must have their employers submit signed applications to SCWC via fax to 707-522-5866. Applications are due by noon, two days before their regional contest. The entry form is attached below. For more information, contact Karen at 707-522-5862 or [email protected].